The topic for this blog post was born when I decided to audit the contents of my blog. 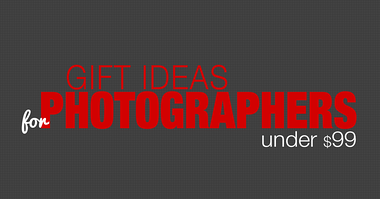 I launched PhotoTraces.com almost two years ago and felt that it was time to go through my archives and check the articles to see which ones (if any) were now irrelevant or needed to be updated or deleted altogether. What I realized after going through my old blog posts and tutorials is how much my HDR editing workflow has changed over a period of two years. I immediately noticed that two events became instrumental in changing the way I produce HDR images. The first event was my switch from Canon to Sony. The main reason for the switch was my dissatisfaction with the lack of innovation in Canon cameras compared to the companies pushing technologies to the limit with the latest mirrorless products. When I finally switched to a Sony A6000 mirrorless, I really loved the small size of the camera and lenses, EVF, and the wireless connectivity. But, what I initially failed to realize was that the sensor of my new Sony had a much wider dynamic range compared to my old Canon. This change affected my HDR editing the most. When I returned from a trip to Hawaii and California where, for the first time, I exclusively used my new Sony, I could not quite understand why I was able to edit most of the trip’s photos using single RAW processing without using HDR. This is when I discovered that the dynamic range of the camera sensor went from 11EV to 13EV. Needless to say, the two-stop increase made a huge difference. 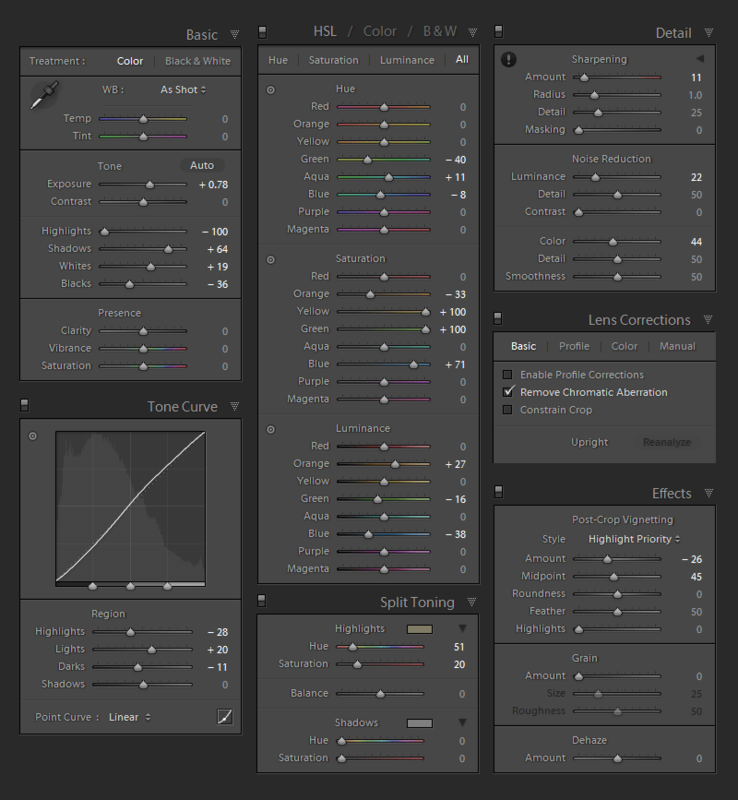 The second factor that became impactful as well was the introduction of the HDR Merge module in Lightroom 6. Before and depending on the case, I would start HDR editing using one of the many dedicated HDR programs such as Photomatix and HDR Expose or by using the HDR Pro module of Photoshop before putting the final touches on the image in Lightroom. Now, most of my HDR processing is done in Lightroom. First, I import the photos to Lightroom, then merge multiple bracketed shots to HDR and finally, run Rapid Editing with the help of my presets. To summarize the change to my HDR editing workflow, I use HDR processing much less than before and, when I do use it, I run it mostly in Lightroom. Since I share pretty much all my shooting and editing techniques on the PhotoTraces blog, some of my followers assumed that the dedicated HDR programs had become obsolete and were no longer needed in the modern photo editing workflow. 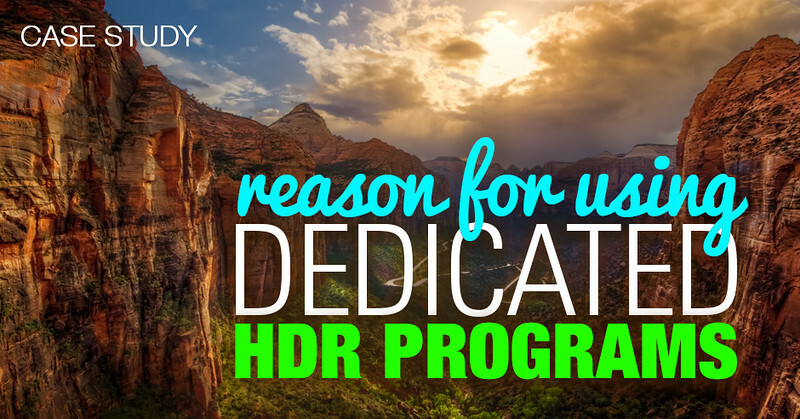 Today, I want to demonstrate the case when you absolutely need a dedicated HDR program. Please know that this is an extreme case of HDR processing. 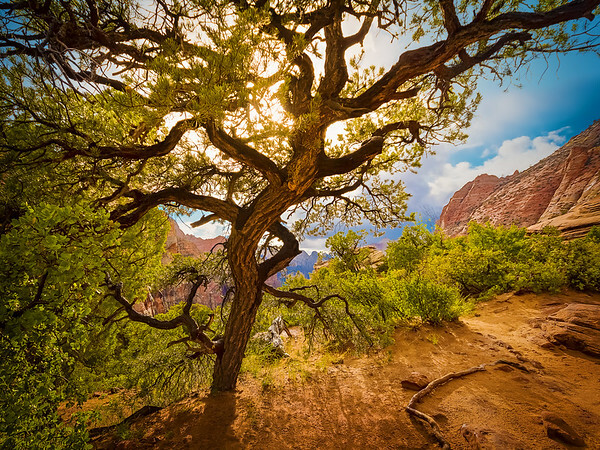 I took this photo months ago in Zion National Park with my Canon 60D. The need for HDR here is obvious since I was shooting directly into the sun through the tree. The second challenge with the shot was that it was quite windy and, even at a shutter speed of 1/200s, every single leaf and branch changed their position from bracket to bracket. The last issue was the rain since it stopped only a few minutes beforehand leaving every leaf covered with reflective water drops. When I tried to merge four bracketed shots (originally I took 5, but the +2EV bracket was too bright leaving me with only 4) it completely confused Lightroom and produced broken HDR images regardless of the setting I used. This is when I realized I needed the help of a dedicated HDR application. The process of producing HDR images has three distinctive parts: Merging, Tone Mapping, and Editing. HDR Merge is when you combine multiple images while the application makes sure that the best information is used from each bracket to produce an HDR image. Also, it has to align all the images to ensure there are no ghosting effects, which is when there are moving objects in the composition that produce a motion blur effect. Once you have merged multiple images and produced an HDR image, it still looks pretty bad. Let’s say after merging five bracketed shots that you created the image with an enormous dynamic range of 20 stops but, since your monitor can only display a dynamic range of 8 stops, the image’s shadows and highlights are still clipped. This is when Tone Mapping comes into play, which is when you have to map a 20-stop image to 8 stops by recovering the shadows and highlights. The last step is editing, which is where you make your image pretty. 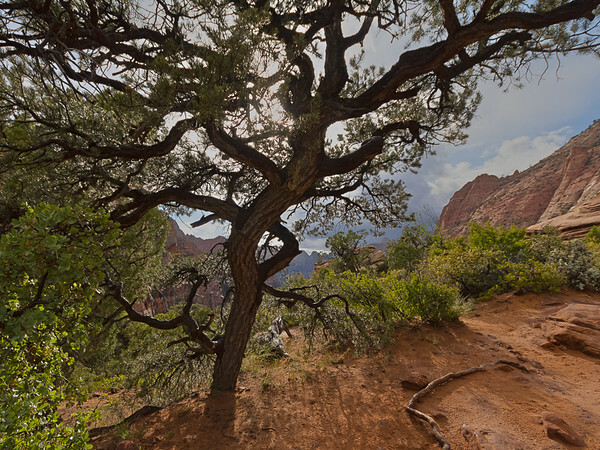 HDR Expose from Pinnacle Imaging Systems has the most advanced and sophisticated HDR Merge module. It has a myriad of options and settings starting from fully automated to completely manual that allow you to merge the most complex and challenging sequences of images. I knew that HDR Expose was my best option for merging such a complex image sequence. I used the following settings in HDR Expose to merge the four bracketed images. The program had no problem with the challenging capture and produced a great result. I also used HDR Expose to tone map the HDR image to ensure I produced as neutral an image as possible in order to have more latitude in Lightroom during the editing process. The last step was to make the HDR image look nice. I used the Lightroom Rapid Editing by applying Point Lobos preset from Landscape Collection and used it as the starting point for the editing. Bellow are the final edits. With the latest advances in camera sensor technologies in combination with the innovations in photo editing software, creating HDR photographs has become easier than ever before. 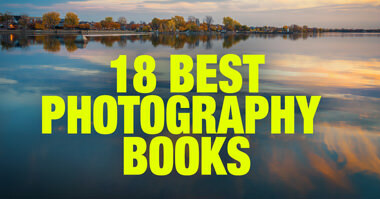 Any beginner with basic photography skills can start producing beautiful HDR images with ease. But, in order to push the limits when photographing in the most challenging situations, professional grade tools where you can control every single aspect of HDR photography are still a necessity. 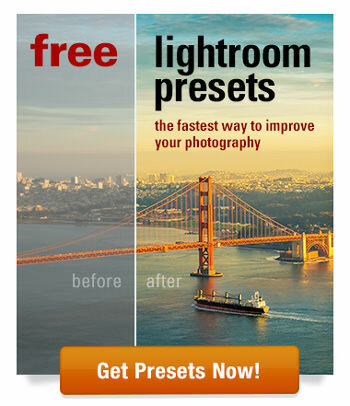 Lightroom: import, tagging, contrast, color correction. HDR Expose: HDR merge, tone mapping. Photoshop: cleaning using the Stamp Tool, color correction, vignetting. 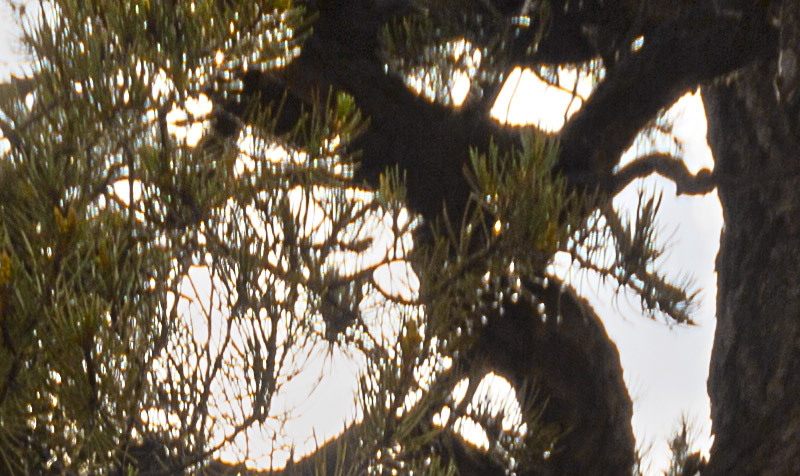 Topaz DeNoise was used to reduce digital noise (sky mostly). Topaz Detail was used to enhance details (tree, mountains). Do you still use HDR Expose or do you prefer Photomatix. What does HDR Expose do that Photomatix can’t. Have you ever used a more recent release, Aurora HDR?